Golden hour is that hour in the morning or evening when the sun's light is travelling through our atmosphere differently than when it is directly overhead. That golden hue is from the light being bent while travelling through the atmosphere from a low angle. 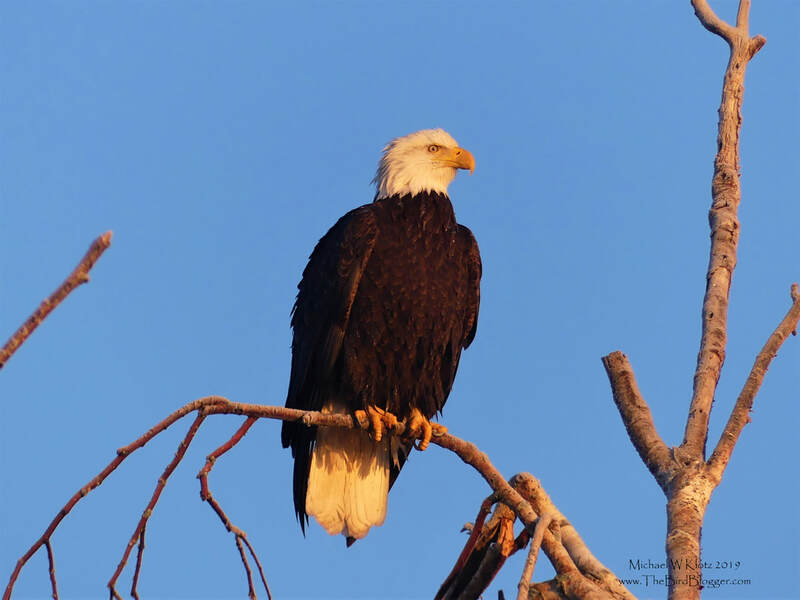 We are very fortunate her to have massive numbers of Eagles overwinter on the coast. This adult is at least 4 or 5 years old as that is when the mature white feathers are present on the head and tail.